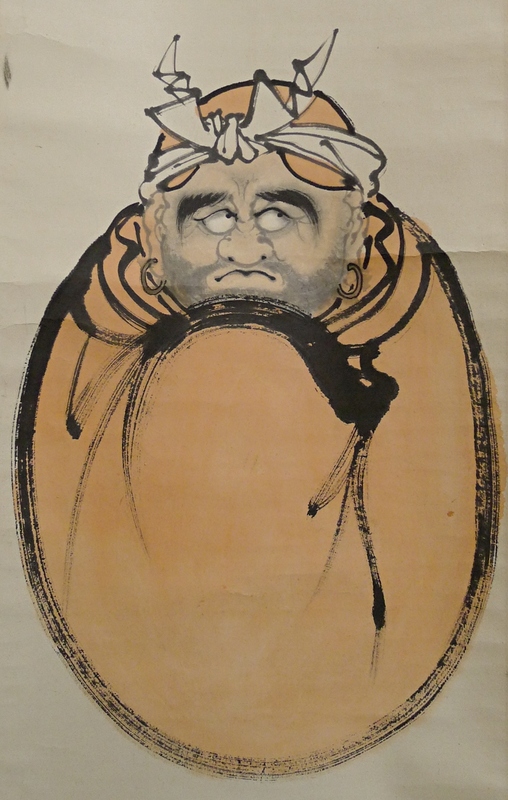 Title" Daruma & Kanji Poem "
Konen was born in Kanazawa of Ishikawa Prefecture in the 10th year of the Meiji era (1877). He went to Tokyo and studied Japanese style painting under Yamamoto Koichi. Later, Konen went to Kyoto and became a disciple of Suzuki Shonen. His date of death is unidentified. Description The scroll is slightly foxed overall as it was drawn years ago. There are sevaral small holes at the top of the mounting. 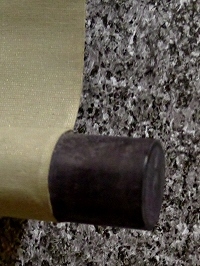 There are some folds and faint spots on the drawing part. Although, Daruma (Patriarch of Zen Buddhism) in red vestment is drawn artistically using Fude Japanese brush. A Kanji poem is also written at the top. Please note that this scroll is not judged by any appraiser. So, we do not guarantee that it is authentic one.